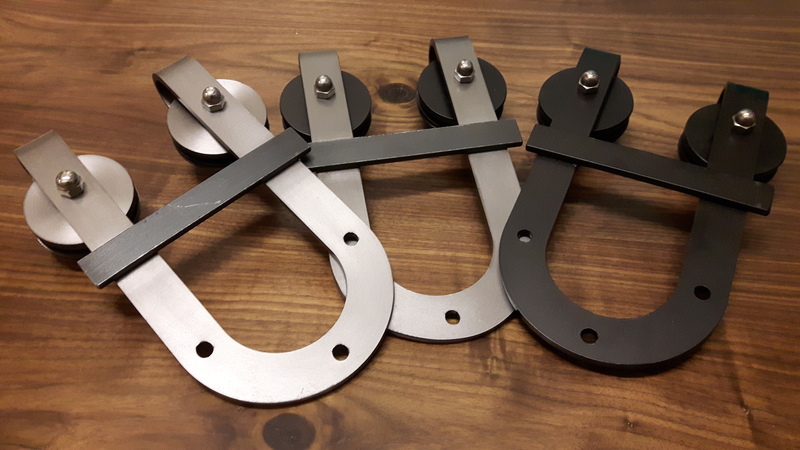 HORSESHOE BARN DOOR HARDWARE TORONTO! First in quality, our impressive horseshoe barn door hardware looks as good as it performs. Especially suited for wide barn doors, the Horseshoe XL features nylon cores on our steel wheels that results smooth, quiet performance! Rebarn – Toronto’s best source for custom barn door hardware!